Inter Faith Week is a focal point for inter faith activity, increasing awareness and understanding of different faiths. It has been made as a week to focus on inter faith understanding and cooperation. 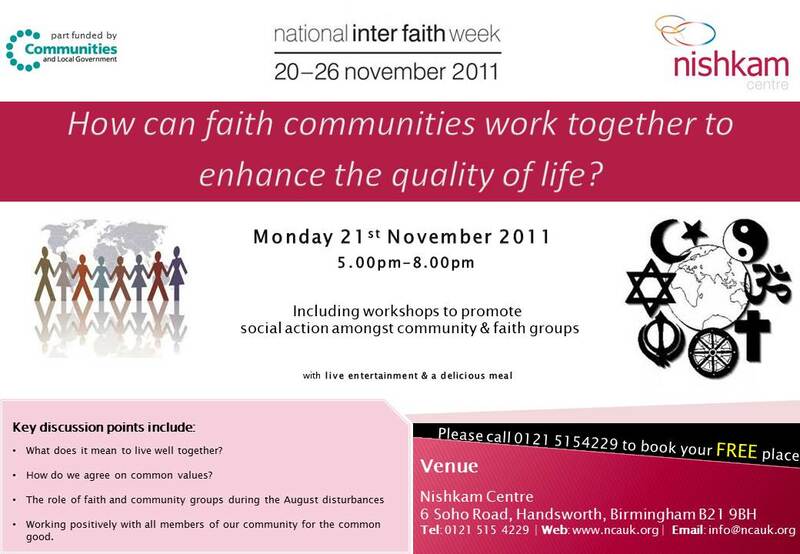 To see the work done by the Nishkam Centre on previous Interfaith Weeks please see the archive below. There are many challenges which have the effect of dividing and segregating humanity; this is commonly through differences in ideology, land disputes, politics and commercial forces or a combination of all. The level of conflict has increased with greater emphasis on differences rather than common ground. Faith has the solution through the values and virtues propagated to elevate humans to make conscious, wise and compassionate decisions. To read more click here. On Thursday 20th November the Nishkam Centre was honoured to host a multi-faith event, Prayers in Harmony, to mark Interfaith Week 2015. It also served as show of solidarity with the recent Paris events and the other atrocities around the world. To read more click here. 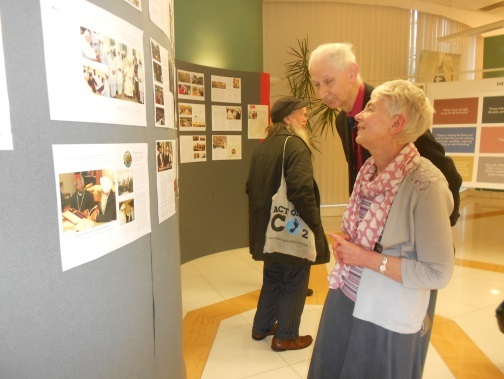 The West Midlands Faith Forum (WMFF) adoption and fostering services event, “No Place Like Home”, marked the launch of Interfaith Week 2014 in Birmingham. 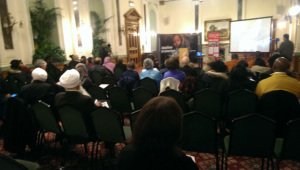 The event was well attended by people from many of the faith traditions and none across the city. Birmingham’s faith communities, during discussions at the Birmingham Faith Round Table, have declared the whole year as a year of Interfaith engagement and activities in keeping with the ethos of Interfaith Week. To read more click here. 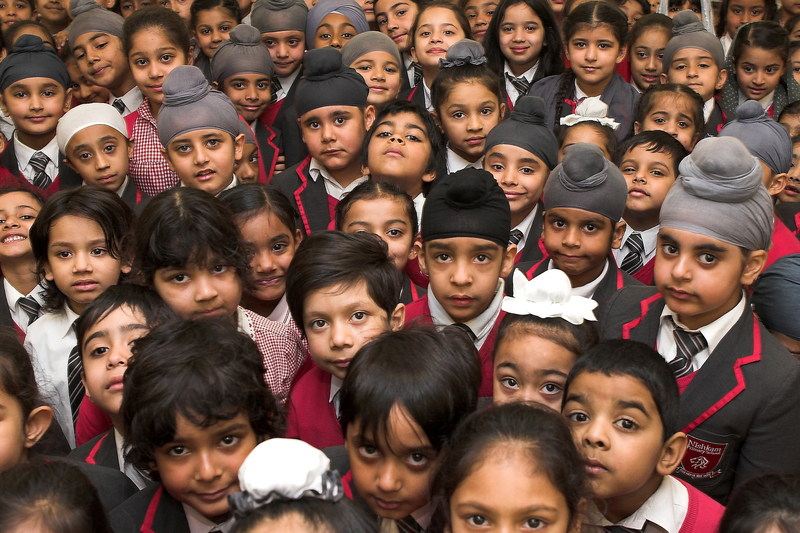 Faith-inspired education uplifts & enhances academic learning to create value-driven, local and global citizens who work towards the all-embracing vision proclaimed by the Sikh Gurus of sarbat da bhalla (the welfare of all) & of manas kee jaat sabai ekai pehchaanbo – all humanity is one large family. To read more click here. Hundreds of community members from across Handsworth and the surrounding areas joined together to celebrate a Year of Service on the shaheedi (sacrifice) day of Guru Arjan Dev Ji – the 5th Guru of the Sikhs. To read more click here. 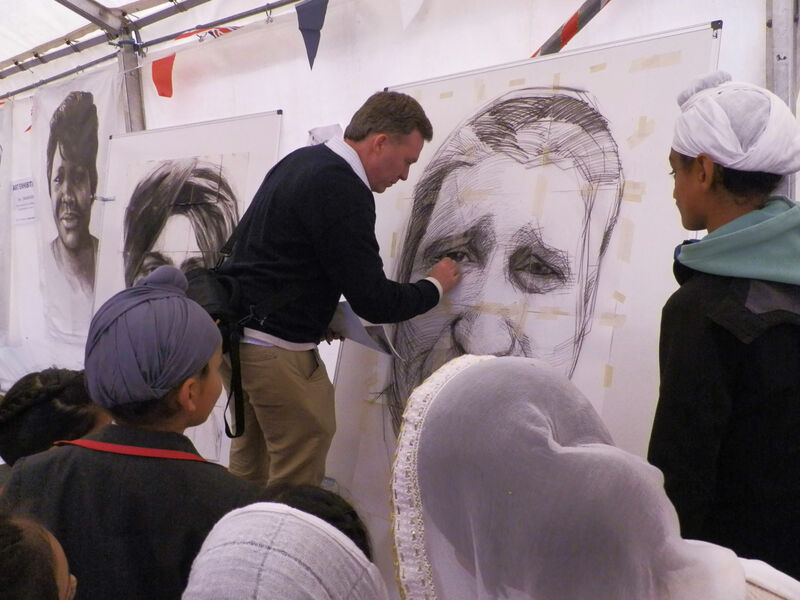 The Nishkam Centre held an event on the 21st November titled ‘ How can faith communities work together to enhance the quality of life?’ It included workshops to promote social action amongst community and faith groups. What does it mean to live well together? How do we agree on common values? The role of faith and community groups during the August disturbances, and working positively with all members of our community for the common good.